Sweet, light, refreshing, Tepache is a mild, fermented pineapple brew made using pineapple peels. Tepache originated in Pre-Columbian central Mexico as a popular drink among the Nahua people. In the náhuatl language, the word tepache means “drink made from corn,” and originally, tepache was made from corn (maize), but the contemporary recipe for tepache uses pineapple rinds. Though tepache is fermented for a few days, the resulting drink does not contain much alcohol, unless you add brewer’s yeast. In fact, the longer you ferment the pineapple, the more it gets closer to vinegar (which is great in its own right). Make sure you use organic pineapples for this recipe. 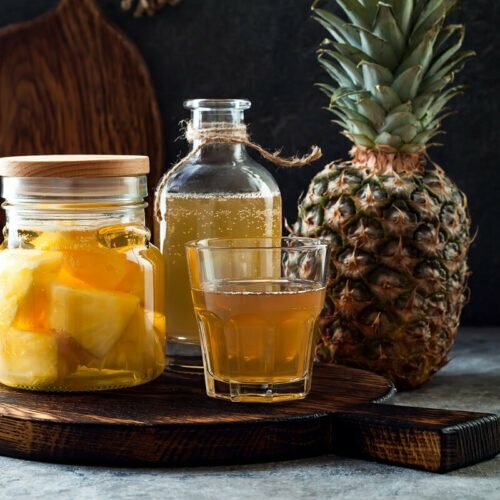 The fermentation process for tepache relies on the yeast that naturally lives on pineapple peels, so you’ll want to make sure your fruit doesn’t have any pesticides residues on it. 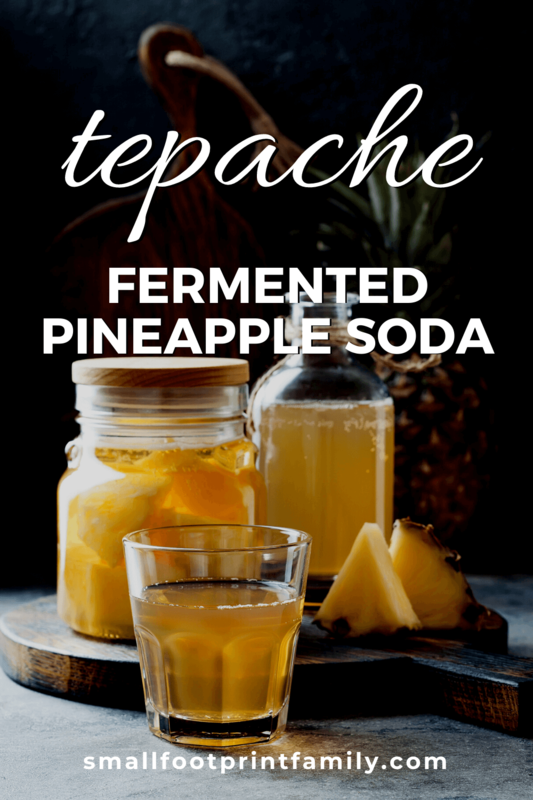 Sweet, light, refreshing, Tepache is a mild, fermented pineapple drink made using leftover pineapple peels. 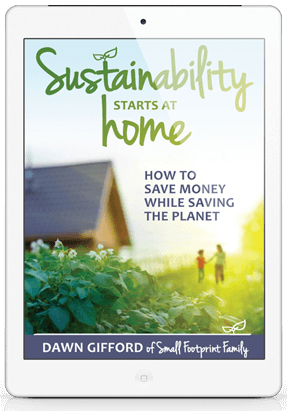 1/2-1 tsp (or 4g) brewer's yeast (optional) This increases the alcohol content of the brew. Rinse the pineapple to remove any dust or debris. Cut the peel and set aside, then chop the pineapple pulp. 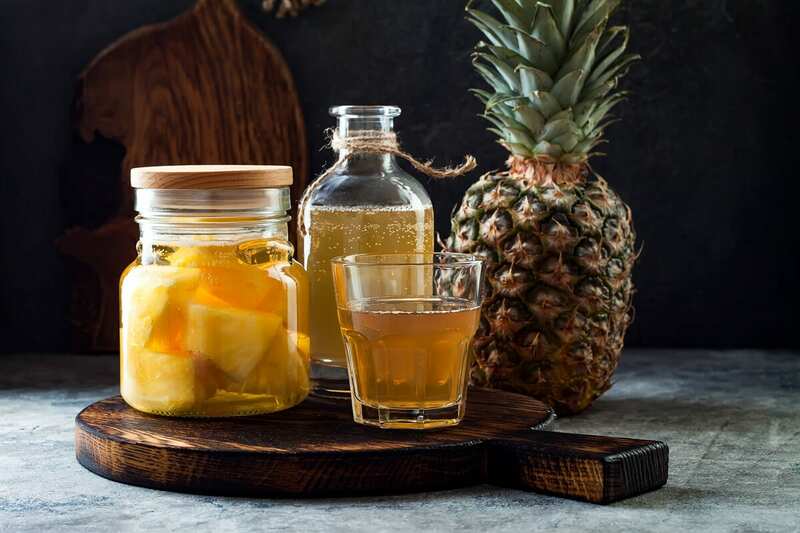 In a large glass jar, combine the pineapple peels and as much pulp as will easily fit, cane sugar or Piloncillo, cinnamon stick, cloves and 1 quart of water. Add brewer's yeast if using. Shake or mix well. With a wooden spoon, skim away any white foam that has formed on top of the liquid. Loosely cover again and let ferment for another 24–48 hrs. Feel free to taste it after 24 hours. DO NOT let it ferment longer unless you want to make pineapple vinegar. Strain the liquid from your jar into a pitcher. 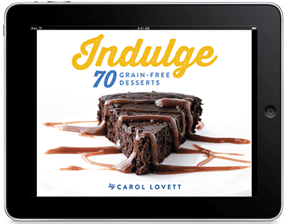 Taste for sweetness and add more sugar, if needed. If you prefer a more diluted version, mix 1 cup of Tepache into 1 quart of water. Serve over ice. If you are not using all the tepache right after it's strained, store in a glass container in your refrigerator to enjoy later. Hello. Is it necessary the sugar? Yes. I think you will find it both tastes and fermentation compromised without it. 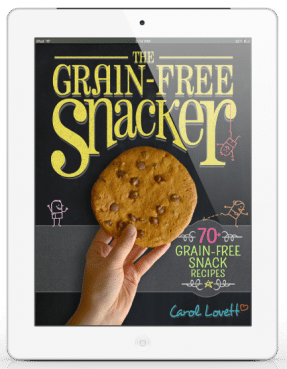 The sugar is largely consumed by the bacteria/yeasts and is there to feed them. Hei Dawn, Today is the third day of the fermentation process, but I got confuse. My tepache has produced very very little white foam? is it something wrong? This sounds delicious. I have tried making my own fermented drinks before but I have yet to use pineapple. My favorite fruit by far. Cannot wait to make this.